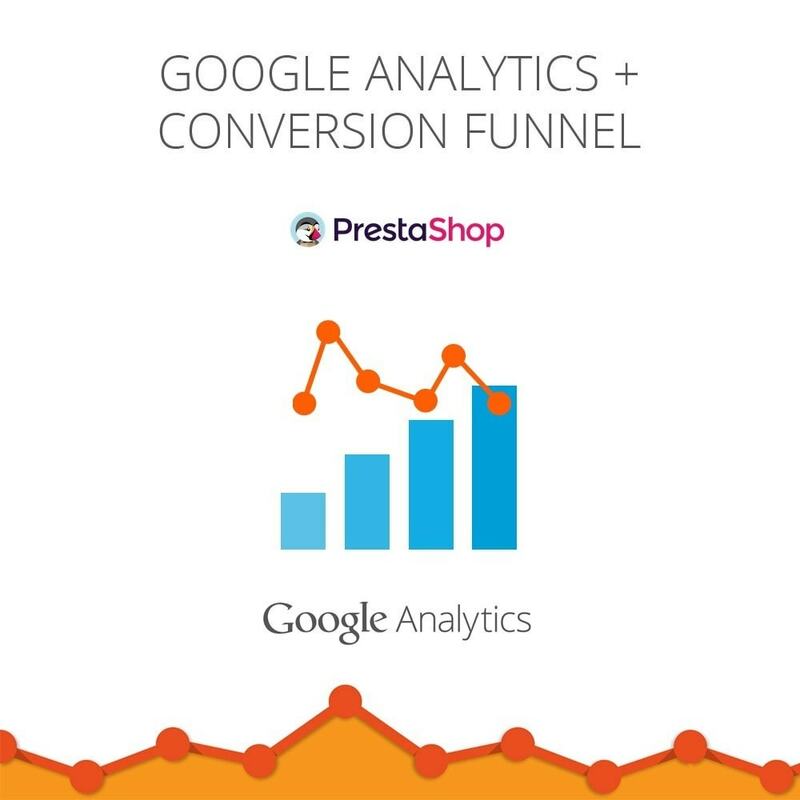 This module connects your e-commerce store to Google Analytics and collect lots of data and simply configure your conversion funnel. 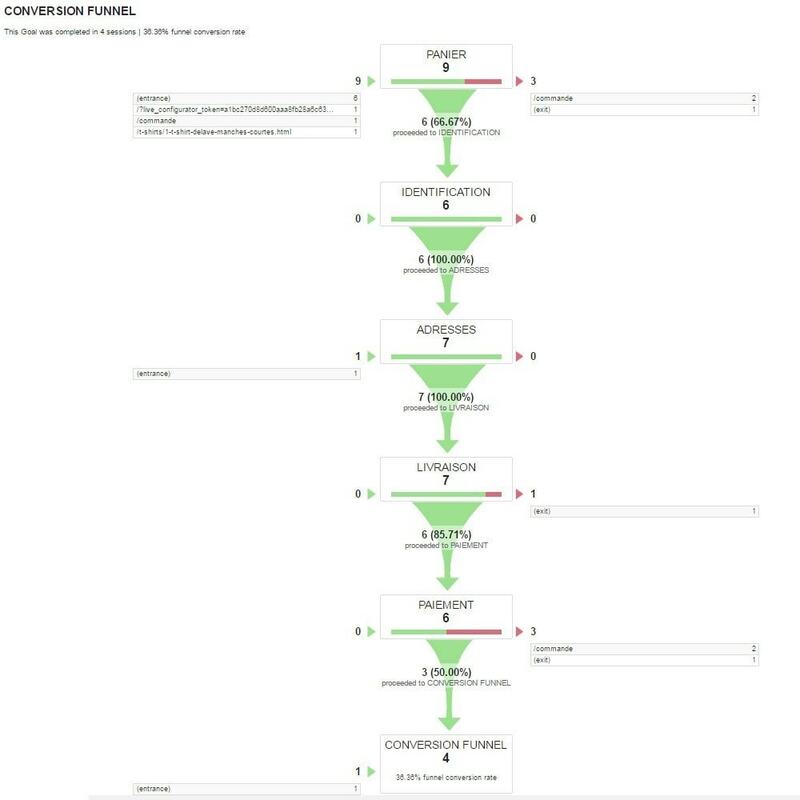 This module allows you a quick and easy setup your "conversion funnel" : All created carts does not turn into orders. The "checkout process" or "conversion funnel" tracks your visitors in various steps of the shopping cart process and thus analyze pages outputs to improve your purchasing process. 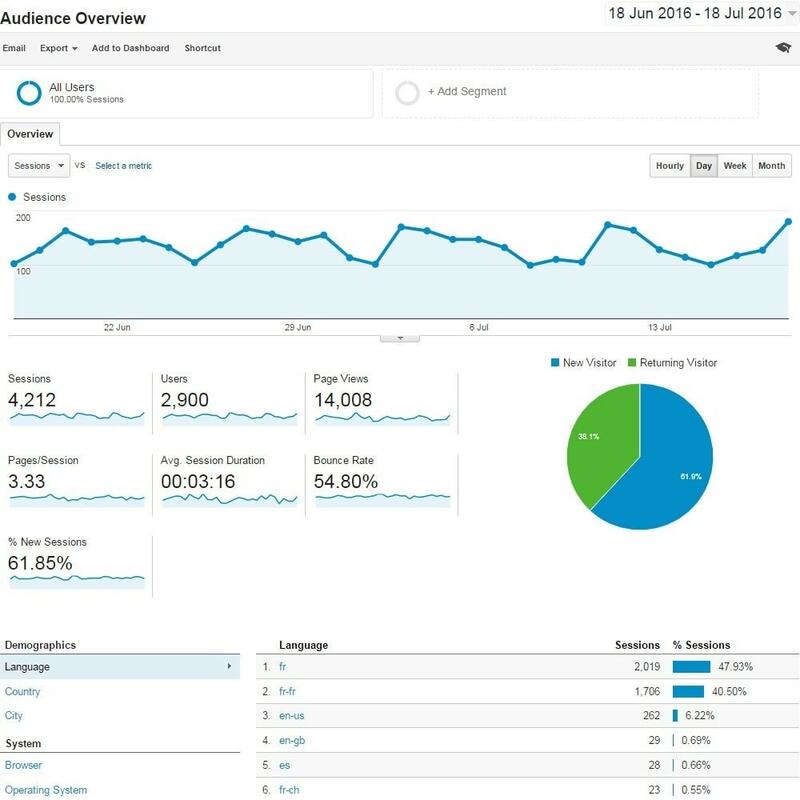 Back all traffic statistics in Google Analytics. Allow to dynamize each pages names of the checkout process which are send to Google Analytics (Summary cart, authentication, addresses, shipping, payment, order confirmation). 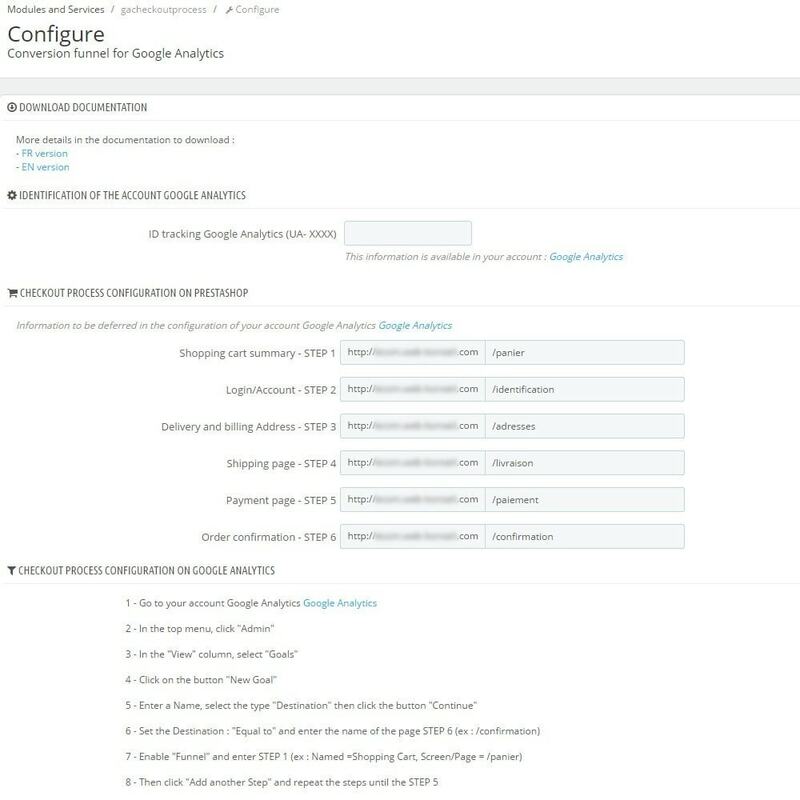 Before installing this module, you must have activated the "E-commerce Setup" option in your Google Analytics account and disable other Google Analytics tracking module (ex: ganalytics).